If you are already registered you dont need to register please log in to the system. 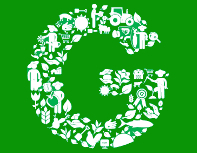 Sign up for GLOBALG.A.P. Certification Body Approval. Your company may wish to become a GLOBALG.A.P. Certification Body (CB) for one or more GLOBALG.A.P. product scope(s) and sub-scope(s). A GLOBALG.A.P. Certification Body is a company fulfilling the requirements for approved GLOBALG.A.P. CBs to grant GLOBALG.A.P. certification in the relevant product scope. To become an approved CB, you may register below. We receive and store the information you enter on our website. The information is necessary to process your application for the status as CB and after approval to facilitate your work as CB. You will use this information to access your account each time. Capitalization for your password is important and your password must be longer than 6 characters. Confirm or change Company Information!